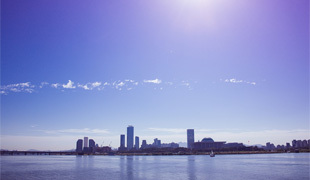 The best way to see popular tourist destinations within a limited time frame is to use the City Tour Bus, which stops at major spots throughout the city. 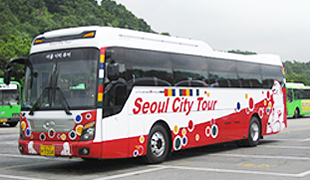 The Seoul City Tour Bus is designed as an effective transit solution that allows its patrons to hop from destination to destination. 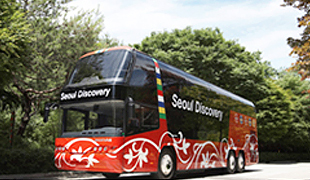 The Seoul City Tour Bus is a great mode of transportation whether you’re visiting as a foreigner or as a native. It was designed to be an effective transit solution, allowing its patrons the ease to hop from one destination to another. One ticket will grant you access to all its routes throughout the day. Simply get off at your chosen attraction, tour the area, and catch the next bus according to the bus schedule to continue your trip. Multi-language voice guidance system :The headphones installed in every seat allow tourists to receive the city’s tourist spot guidance service in four languages – Korean, English, Japanese, and Chinese. LCD monitor:Each seat is fitted with an LCD monitor that displays destination information before each stop. 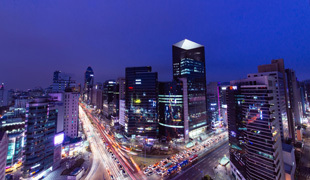 *Also, celebrating the opening of the transfer between the Gangnam and Gangbuk routes, transfer tickets are discounted up to 75% until the end of June. Purchasing tickets separately for an adult for the panorama route (KRW 15,000) and the ring route (KRW 12,000) costs KRW 27,000 total, but one transfer ticket only costs KRW 18,000. 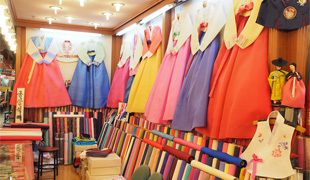 In the case of using only the ring route, the ticket costs 5,000 won, 7,000 won discounted from the normal fare of 12,000 won.